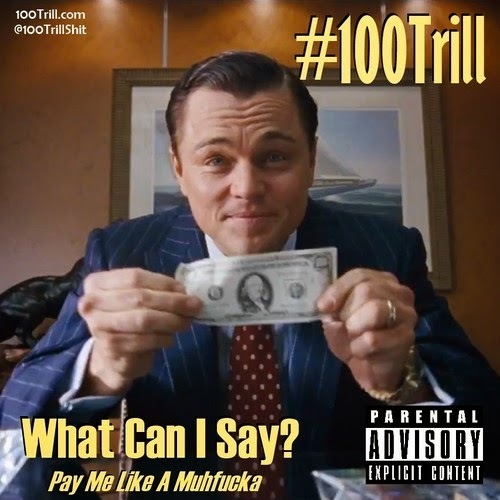 Mike Jaxx who's 1/3 of the production team Tha Hydrox and Grade APlus who, if I'm not mistaken, dropped his mixtape "Turn Up Snacks" 2 years ago and before that "Pennies In My Pocket", have been combining talents for some time now as #100Trill. A relatively new duo over here, these two have numerous songs under their belt, showing a work ethic that is pretty damn good. They've been hitting listener with new music on Wednesday of every week with Mike Jaxx on the production. Grade APlus provides a 'no fucks given' attitude when rapping dropping some entertaining rhymes. Today we their most recently track called "What Can I Say? ", and they're looking to get paid and don't miss out on previous releases. Press play above and comment below.